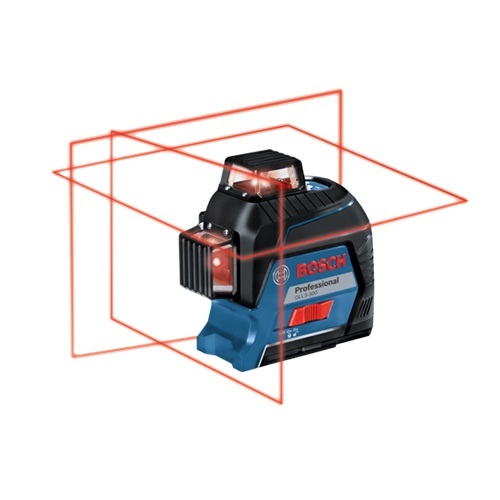 The Bosch GLL3-300 360° Three-Plane Leveling and Alignment-Line Laser features an all-in-one level and alignment solution. This leveling laser provides fast one-spot job setup. It allows users to line up level, align, square and plumb with one setup point by generating three 360° laser planes – one horizontal and two vertical. Featuring an upgraded diode with a brighter beam than previous generation lasers, the GLL3-300 has a visible range of up to 200 Ft. diameter.